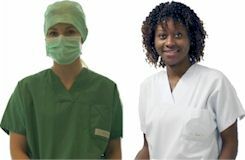 If you are searching a job in a medical environment, we propose you to work within a dynamic team, within a green framework and with the possibility to train you to become an expert in your field. We do not function only with permanent personnel, we have recourse to a large number of temporary contracts. Sometimes these contracts lead to a longer collaboration. You want to come working with us ?